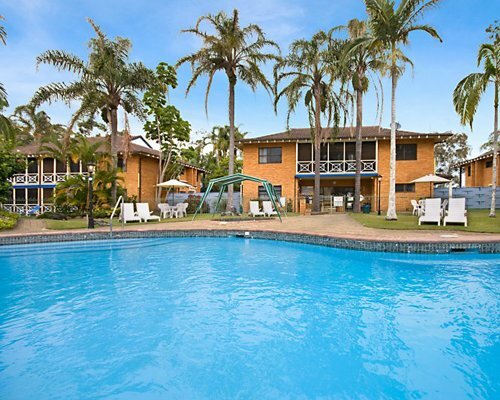 Busselton Beach Resort has 32 units on 7 acres right on the beach. 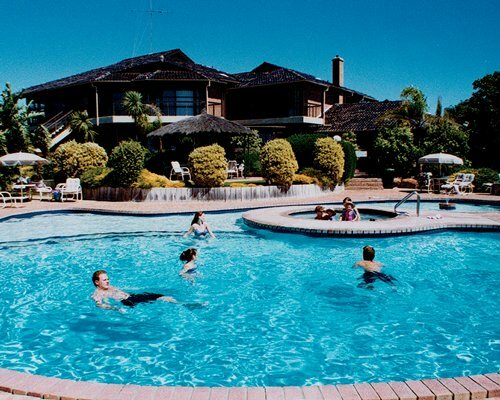 At the resort you can indulge in the tennis courts, a bowling green, putt-putt golf, squash court, and games room. There's also an indoor heated spa with sauna, a solar-heated swimming pool, and gymnasium. From mid-August through September the wildflowers bloom. Whalewatching is from July through November. A car is recommended to fully appreciate the area. The grounds include open lawn areas with shady peppermint trees and lovely gardens. Also there are BBQ's and outdoor pergolas for relaxing lunches or evening meals. 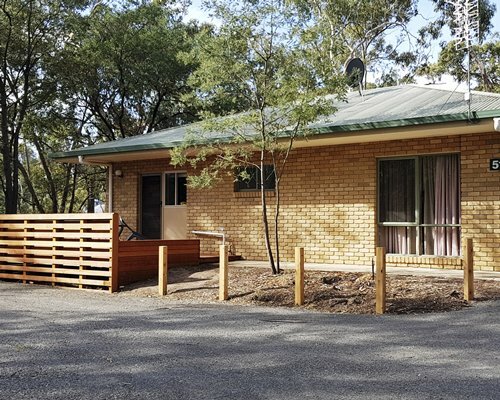 Choose from 2 and 3 bedroom self-contained, carpeted units, which include a full kitchen with microwave, crockery, cutlery and glassware. The 2-bedroom sleeps a maximum of 6 people and and the 3-bedroom sleeps a maximum of 8 guests. All linen is provided. 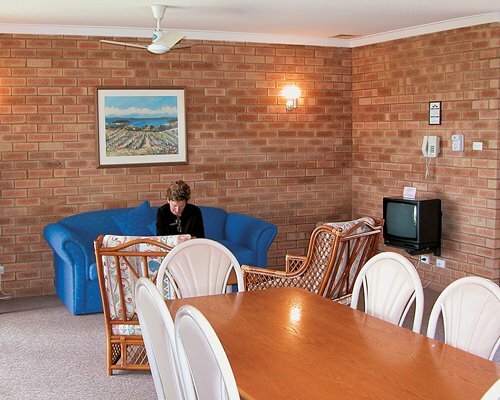 Busselton Beach Resort is renowned for its relaxing family atmosphere and quiet open spaces. Come and revel in the natural splendor while still enjoying the comforts of home. From Perth drive south to Bunbury taking the South West Highway. From Bunbury continue south on the Bussell Highway. Drive through Busselton Town Centre (Queen Street) and turn right into Marine Terrace and travel approx. 3.5 kms. 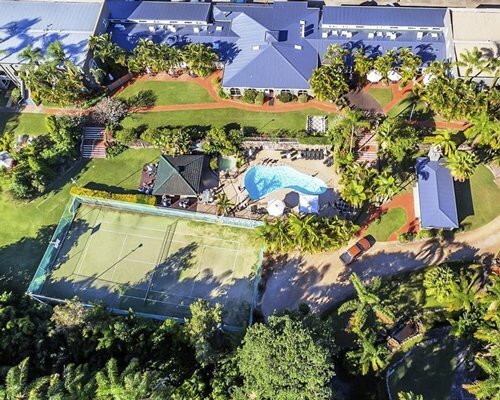 The resort is on the corner of Marine Terrace and Guerin Street. 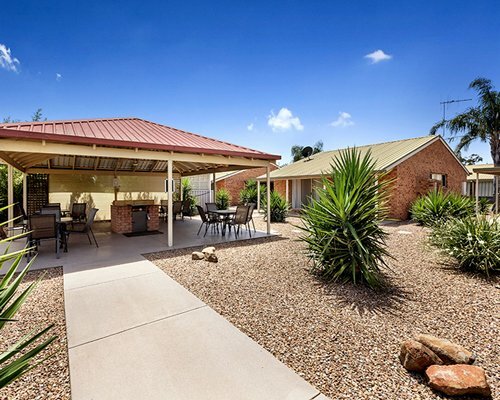 Travelling time from Perth is approximately 3 hours and distance is approximately 250 kms. For the convenience of overseas and interstate visitors beach towels are available.